God does not play favourites. His gift is to one and to all. What God says he means. He’s not like the majority of us for whom this statement is not true. 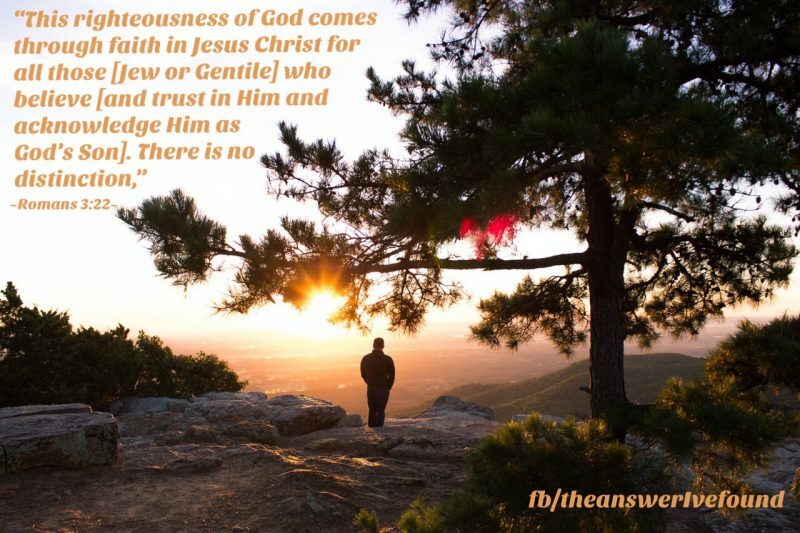 Most of us know that this is hard to hold true to most of the time, let alone all of the time, but he only makes one qualifier and that is that we need the righteousness of God which comes through faith in Jesus. The call is to all. The promises are to all. The gift of eternal life is to all. No one is beyond the reach of this option. But no one is forced. The evidence is there. It’s plain for us all to see. Creation speaks of the existence of the Creator. The righteousness of God is required by all! No one, alive or deceased, at any time in history has even come close to the righteousness of God without the covering of the sacrifice that was made available by the Son. I have zero chance to attain the righteousness of God by my own means and devices. None of us do. He is always there with us. The sacrifice has been made. It’s for anyone and for everyone. What will you choose? All you have to do is choose! choose, equal, eternal life, God, Jesus, promises, righteousness, truth. Bookmark.